Best Place in Canada will indicate to you at the point of provision as to whether or not particular Personal Data provided by you is required in order to provide particular Best Place in Canada services or features to you. Best Place in Canada relies on your consent to process your Personal Data. Where Best Place in Canada requires your consent to collect and process certain Personal Data, we seek your consent at the time of provision, and such processing will only be performed where consent is secured. 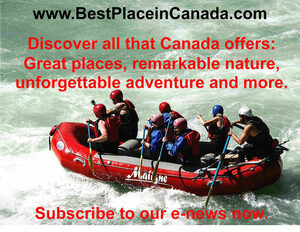 For example, your consent will be sought where you provide your email address to subscribe to the Best Place in Canada newsletter. If you provide credit, debit or other payment card and related details to us in order to make a payment, Best Place in Canada will use such information only for the purpose of processing the payment. We are not responsible for the information collection, use, disclosure or other privacy practices of any third party, including our affiliates, third-party service providers, any employers (including any employer that provides a company page), any third-party social media platform, any third party making available the devices or operating systems for which the site is available, and any third party operating any website to which the site contains a link. You may have rights directly enforceable against these third parties so you should consider their privacy policies to learn more. While we try to include only quality products and services and the integrity of the companies offering them we cannot guarantee them. All information is provided for educational purposes only.